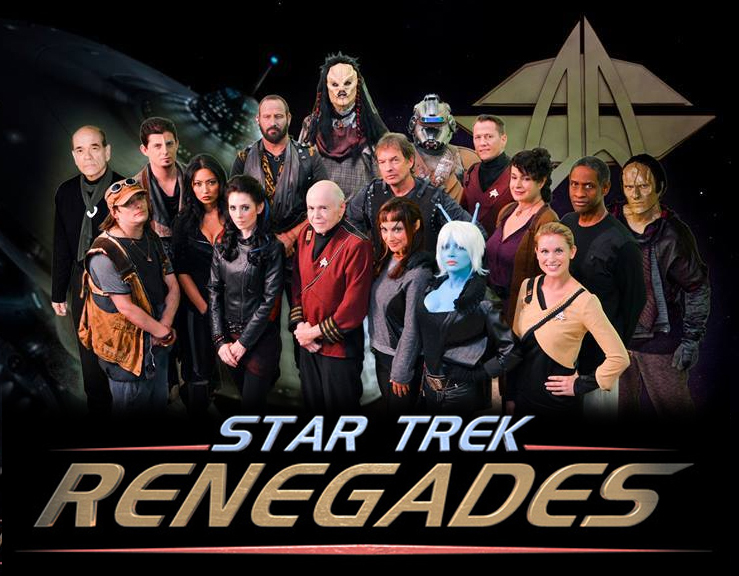 Last time, it had been a long road for STAR TREK: RENEGADES… getting from there to here. 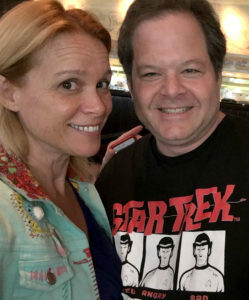 “There” was a an idea back in 2006, on the last day of filming Star Trek: Of Gods and Men, of a “Star Trek meets The Dirty Dozen” fan series concept…maybe even a pilot to pitch to CBS! 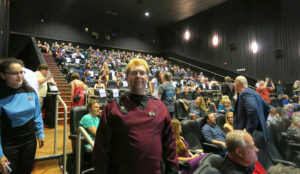 And “here” was the Crest Theater in Westwood, August 1, 2015, for the red carpet premiere of a 90-minute, $400,000 Star Trek “fan” film with veteran actors and professionals working alongside amateurs and novices…all for the love and passion of a sci-fi franchise that hadn’t seen a new television episode in more than a decade! There were two showings, each with a limited number of tickets available (the theater only seats 460, and there were cast members and crew in attendance, as well). 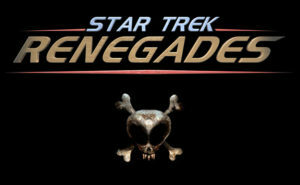 The Renegades team made 325 tickets available to donors and the general public for the first showing at 4:30 pm for $20 each (and that’s when I made my first donation to the project). And thanks to a friend of mine who worked on the production, I was able to get in again for the second 7:30 pm showing that was intended to be exclusively for cast, crew, and the media. It was quite the happening! The first showing was mainly fans, many in costume. But after the theater was cleared from that audience, the red carpet and “runway” background were set up, the Paparazzi began to assemble (seriously, there were more than a dozen of them…including me! ), and the limousines started arriving. Yes, there were limousines. 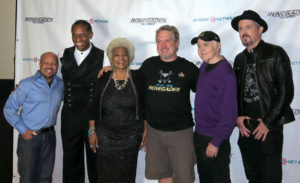 Nichelle Nichols (who came to support her friend Walter Koenig), Adrienne Wilkinson, and Robert Picardo arrive on the red carpet for the premiere. Wanna see what it looked like inside? 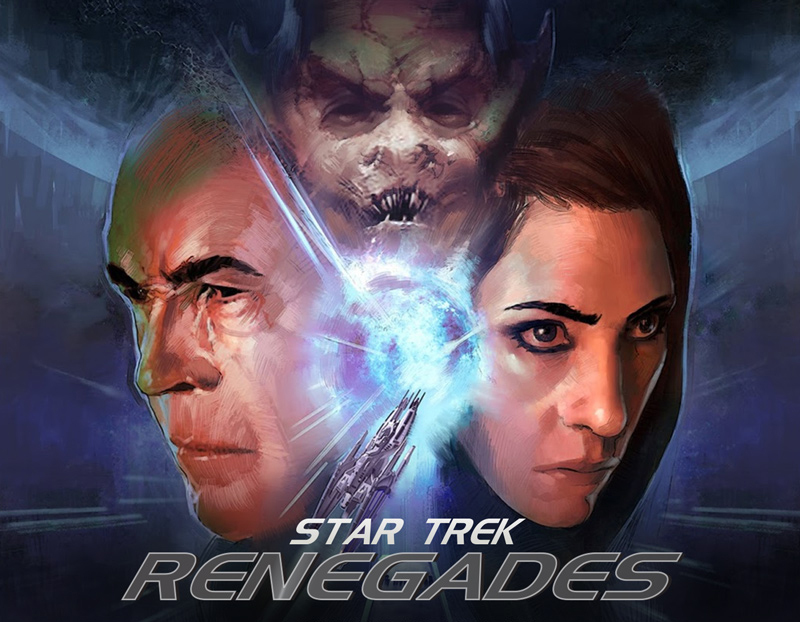 Last time, eight years after first being conceived in 2006 on the final day of shooting Star Trek: Of Gods and Men, the dream of STAR TREK: RENEGADES was nearly complete. 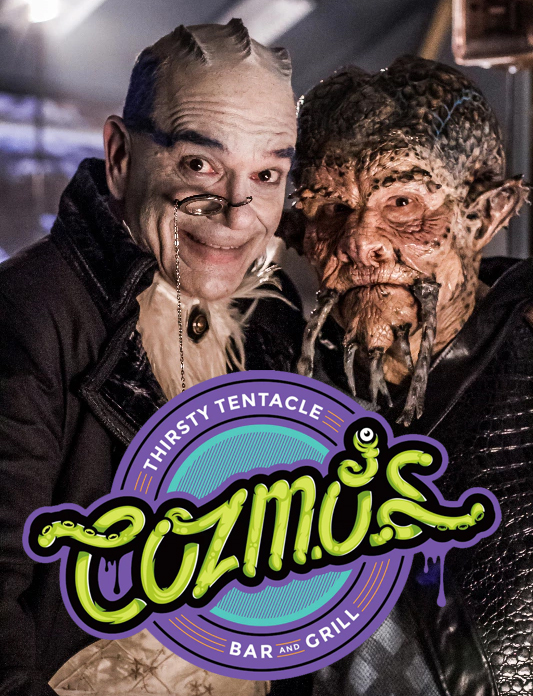 Two crowd-funding campaigns had provided the producers with $375,000 to spend (minus fees, perk production, and mailing costs). All of the footage was shot (directed by Tim “Tuvok” Russ) in October of 2013, the final “locked picture” edit had been approved in April of 2014, and now it was time for music, sound, and visual effects (VFX). Unfortunately, the money was now all used up, and the VFX were going to be significantly more expensive than they thought…like tens of thousands of dollars more! Was Renegades ready for a THIRD crowd-funding campaign??? I say “mega” for a few reasons. First, each production would wind up with a run-time of about 90-minutes, way longer than the vast majority of other Trek fan films. Second, these were a professionally-produced “fan” films with industry veterans and a slew of Hollywood actors, some of whom were reprising their roles from various Paramount-produced Star Trek series and movies. And finally, each had a budget in the six-figures. 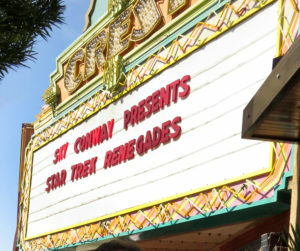 At the time, most Trek fan films were low-budget or, at most, made it into the four-or-five-figure range. But when you were spending more than a hundred thousand dollars (potentially a LOT more), well, that spells “mega” to me! Of course, if you want to spend six figures, you need to first generate six figures…and back in 2012, no Star Trek crowd-funding campaign had managed to break above the low four-figure range. 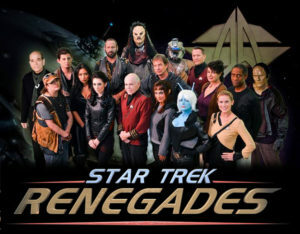 RENEGADES: THE SERIES just hosted a movie theater premiere in North Hollywood, California for their first full one-hour episode, “The Requiem.” But before there was Renegades: The Series, there was STAR TREK: RENEGADES, one of the largest, most ambitious fan film projects ever attempted. Nearly four hundred thousand dollars in crowd-funding, multiple Star Trek veteran actors reprising their roles from the various TV series, paid industry professionals on both sides of the camera, two years in the making, enthusiastic plans to present this to CBS as a potential pilot for a new Star Trek TV series, and even a gala Los Angeles red carpet premiere at the historic Crest Theater in Westwood. Looked at through the hindsight lens of the constraining limitations of the post-guidelines reality we now live in, it’s hard to imagine that something like STAR TREK: RENEGADES could even have been attempted, let alone successfully completed and released with such fanfare. How on earth (or in space) did they manage it? 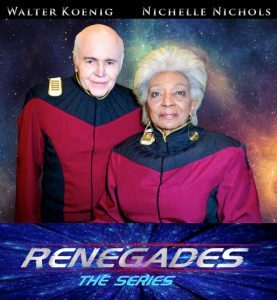 RENEGADES hosts a North Hollywood THEATER PREMIERE of “THE REQUIEM”! Over a half million dollars. Multiple crowd-funding campaigns. Walter Koenig. Nichelle Nichols. Tim Russ. Elaborately constructed sets. Props. Art design. Lighting. Make-up. Broken air-conditioning in the studios. Countless aliens in hot rubber masks. A year in post-production. Amazing visual FX. Incredible music. And those damn guidelines from CBS and Paramount that forced Star Trek: Renegades to evolve into RENEGADES: THE SERIES. And then last night, at 7:30 in the Laemlee Theater in North Hollywood, CA, the moment we’d all been waiting for. 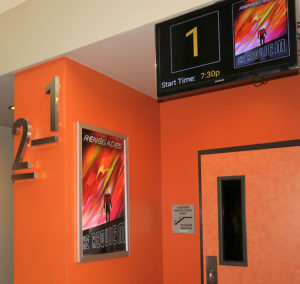 “The Requiem” was shown for the first time as a full-hour fan film on the big screen in front of an audience of hundreds of fans, actors, production crew, family, friends, and donors…and at least one blogger who crawled through L.A. rush hour traffic for 75 minutes to get there! 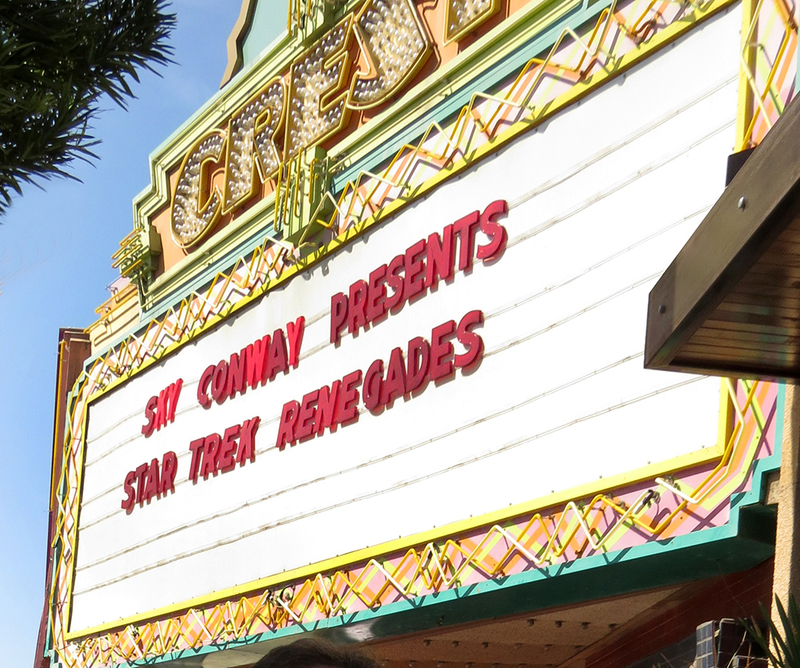 Author Jonathan LanePosted on July 13, 2017 Categories Fan Film Features, NewsTags Renegades: The Series, Sky Conway3 Comments on RENEGADES hosts a North Hollywood THEATER PREMIERE of “THE REQUIEM”!